A catastrophic data loss is one of the most devastating things a company can experience. The costs associated with such an incident are enormous: restore costs, lost use of human resources, suspension of ongoing operations, lost revenue, and much more. It�s crucial that your company 1) understands its risk exposure, 2) has a rock-solid procedure in place to protect against catastrophic data loss (making use of off-site data storage and/or fault tolerance systems), 3) has a proven procedure for restoring data � a step that many companies never test, only to get a very unpleasant surprise when it�s needed. Charon Solutions has handled disaster recovery for some of the world�s largest corporations. We know it is critical to your continued operation to assess and implement a plan that provides maximum protection against data loss. 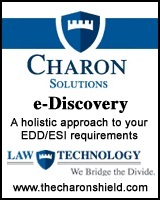 As a bonus, Charon Solutions can show you how you can leverage your existing disaster recovery solution to protect your enterprise for the new e-Discovery rules, thereby cutting costs substantially. If you have an existing disaster recovery program, you�re already halfway there!